The Rio Olympics are now on, and for two weeks, we will see some of the greatest feats in athleticism. 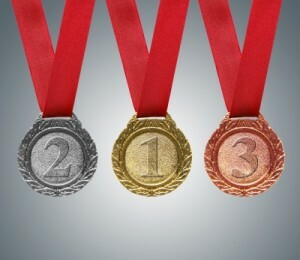 For most spectators watching the games, we are often pulled towards seeing someone who will win a gold medal. And yes, it can be very captivating to see the performance of a Usain Bolt or a Michael Phelps. However, as any insider will tell you, the Olympic games, and for that matter, any event that requires a high level of performance requires a lot more effort than simply focusing on “going for the gold”. If we stop for a moment to see what the Olympics really stand for, we will discover that there are several other components that are required for a world-class performance. What does this mean for leaders working towards developing a human performance work culture? Plenty. And it goes well beyond performance reviews and succession planning. Here are a few of those Olympic performance elements that get overlooked in our modern day workplace. The Olympic movement is about diversity and inclusion. If you look at how diversity has grown within the games over time, you will see more countries being represented while at the same time athletic performance levels continually improving. This is a topic that receives a lot of attention. We often hear, “you need passion,” to perform at one’s best. It sounds intangible, and can be very hard to measure by most performance management practices. However, when we look at the Olympic Games and the people and athletes involved, you will notice they share a high level of passion for what they do, day in and day out. Similar to any high performing team, there is always a sense of passion and commitment towards what they do. Hard to measure for sure however, if you are looking to get the best from your people, you need it. In order for any team and organization to perform at its best, a shared set of values that are not just spoken, but lived daily is crucial. The values of the Paralympic games; determination; inspiration; courage and equality are the starting point that each participant must live by, whether they are a coach, official or an athlete. If you have a set of values for your organization, great! Are they being lived by throughout your organization? If not, then this might be the starting point towards creating a human performance workplace culture. There are several steps that must be taken towards creating a high performance workplace, or as we like to say at Actus, a “human” performance culture, and it really starts by looking beyond what we traditionally think a high level performer is, because there is a lot more to being a high level performer than gold, silver and bronze medals.